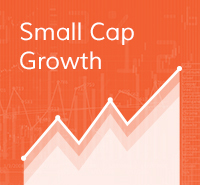 Small Cap Growth a diversified portfolio of companies with improving business fundamentals that will drive earnings growth in excess of expectations. The portfolio focuses on companies will be growth companies in the future not on companies that have been growth companies in the past. SMID Cap Growth a diversified portfolio of companies with improving business fundamentals that will drive earnings growth in excess of expectations. The portfolio focuses on companies will be growth companies in the future not on companies that have been growth companies in the past and will hold onto winners that continue to exceed expectations. 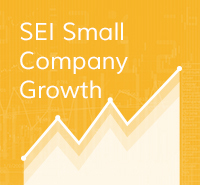 A daily valued collective trust, the SEI Small Company Trust a diversified portfolio of companies with improving business fundamentals that will drive earnings growth in excess of expectations. The portfolio focuses on companies will be growth companies in the future not on companies that have been growth companies in the past. The trust can be used by qualified retirement plans which includes 401(k).